The lightweight Foray Pants provide solid weather protection when a downpour sets in for the long haul. Waterproof and extremely breathable GORE-TEX® shrugs off the wear-and-tear of the trail, while three-quarter-length, double-separating side zippers provide maximum ventilation and allow for easy removal when the weather breaks. 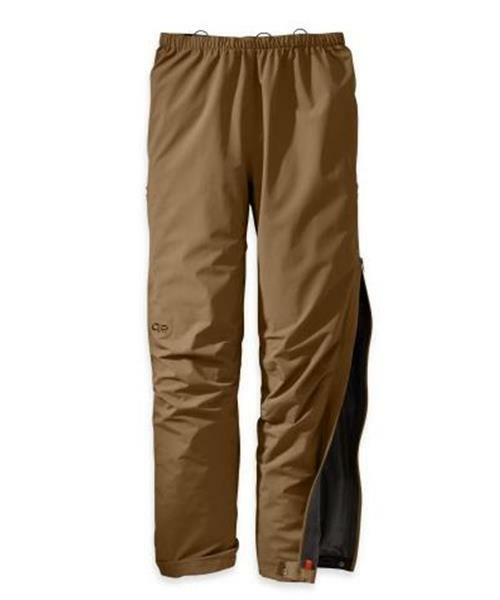 With no bells or whistles left out, these pants work as hard as you do but pack down tight once the weather breaks.